SWEET!!! > I gots to get me a cello player > Seems to make it all CLICK! I absolutely love your cover! How beautiful. The location was very nice also. Best of luck! Woohoo Coldplay! Love the cover and the playing even more. Why the name? Your quartet isn't the least bit cold. Edit:::ah, now I see your quartet name is Aristo. I guess I still have the same question for them tho. What's the location where it's shot? They replied that question on Youtube. It was filmed in Monastery Rosa Coeli in Dolní Kounice, Czech Republic. Thanks to all for nice comments....it is our first try to make clip. We didn't know how to film and many shots were not applicable. We are preparing new one...hope it will look more happier . I thank you for sharing once more. No, it was great! What I meant was that all of you sounded so great - and warm, not cold, and meant nothing about temperature; it was more about the great, warm sound! I liked how you shot the video and I also loved the cover. I thought it looked very professional and I enjoyed watching and listening. Nice! I love that song. Great playing and great videography. BTW, which one are you, RossiCZ? And tell us a little about yourself...how long have you been playing? How long have you played with the quartet? Are you a professional? Do you teach? Etc., etc. Hi! 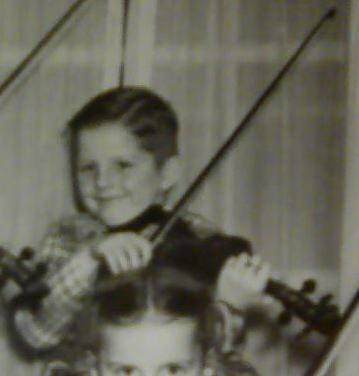 I'm the one with glasses I play the violin for 30 years....started at 6. With quartet I play for 15 years and yes, i'm professional and also violin teacher. I teach kids from 5 years old to 18. I studied Conservatory and then Janacek Academy of Music in Brno (Czech republic) and Hochschule fur Musik Franz Liszt in Weimar (Germany). My professor of violin in Brno was leader of world-known Janacek Quartet. This kind of music is my love. I founded AristoQuartet because of playing popular music with classic instruments. All the members of my quartet are professionals. What a great video. Great videography and a wonderfull song, I love it. And good video, i can hardly say that it's the first one - so professionally done! I have a small request. Could you share our video on facebook? We think now, what song to film and can not decide. I was thinking about David Guetta's She Wolf or Merry You by Bruno Mars. I have a question. Why do they call this a cover? I think it implies a tune/song performed by someone other than the original artist/composer and hence may include some variations/settings. I was wondering about it for a while as well.